Public motor bus services began in the first decade of the 20th century and gradually took over from trams. 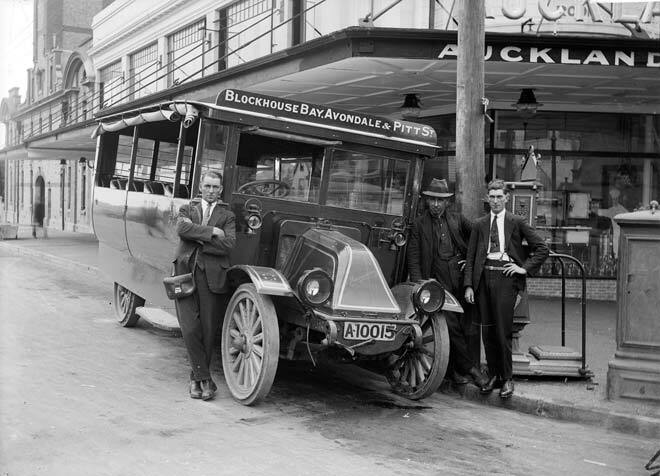 An early bus on a route linking Blockhouse Bay and Avondale with Pitt St in downtown Auckland is shown in this William A. Price photograph from the 1910s. The man at the left is the conductor, with his bag for fares – and he is possibly the driver as well.